One of the longest serving ships in the GNV fleet, the Majestic has been providing enjoyable and safe Mediterranean crossings for years. 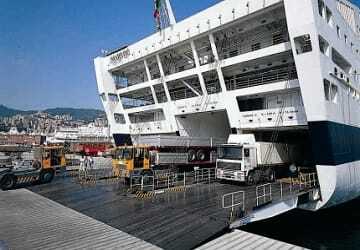 The vessel can carry up to 1790 passengers at a time as well as 760 vehicles. 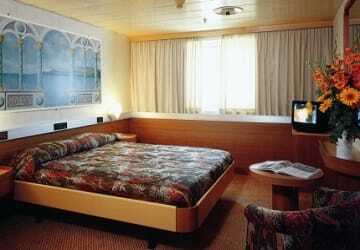 The ship has comfortable cabins and sumptuous suites for passengers to enjoy. There is a wide array of food options onboard, a shopping centre, designated children’s area and even a seasonal swimming pool. Public Wi-Fi is available for those making the crossing. There are plenty of accommodation options on the Majestic with 341 cabins, 19 suites and two specially adapted disabled rooms. All cabins come with air conditioning, en suite bathrooms, including a shower and hairdryer and the comfy beds will help you put your feet up, relax and maybe get some much needed sleep. If you choose to stay in one of the spacious suites you will be able to take advantage of complimentary air conditioning, a television, radio and mini bar, as well as a large porthole for you to admire the sea views. Every travellers culinary needs will be catered for on the Majestic. If you are looking for a sophisticated sit down meal then the a la carte option is for you. Here you can enjoy three courses, serving a combination of Mediterranean, regional and delicious international dishes. As well as that there is the more informal self-service section and a snack bar and kebab area for those wanting a quick bite to eat. A shopping centre can be found on the Majestic where you can enjoy duty free shopping whilst on the move. You have the chance to purchase gifts and enjoy bargains on items such as perfumes, aftershaves, alcohol and other selected items. There are also newspapers, magazines, books, toys and puzzles to help you pass the time on your travels. In the summer months make sure you back those swimming costumes as you can enjoy the benefits of the Mediterranean climate from the on deck pool. If you and your colleagues need to have meetings on the move then you’re covered. This is thanks to the conference centre and meeting rooms onboard. 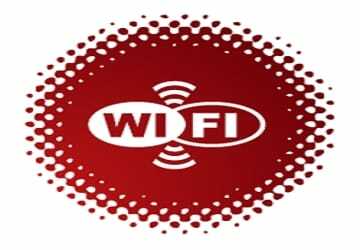 The public Wi-Fi allows you to surf the web as well as the waves whilst with GNV. You’ll also find a chapel and library on the ferry. Please Note: Whilst we have taken great care in making our Majestic guide as accurate as possible, onboard facilities, services and entertainment may vary depending on the date and time of year that you travel, facilities mentioned may change without notification and ferry companies reserve the right to operate vessels other than those mentioned at time of booking without prior notification. Enjoyed. Had a cabin to myself. No entertainment . Movies only in Italian. Food a little limited. Staff very nice and friendly. We tried so hard to turn the air conditioner off, even with the help of the staff. But in vain. We had to use more than a blanket. Really nice and helpful staff. A good journey. In conclusion was a nice trip, kind staff and helpful, clean enviroments. "Outside cabin with no sea view"
We didn't have an ocean view from our room because the life boats were hanging right outside our window. I was misled as this wasn't mentioned at the time the booking was made. Everything else was ok. The journey in a 3 pple cabin was confortable. We departed on time and arrived on time. The cabin was clean, the crew was polite and competent. We weren't given any information about evacuation, plus the announcement from the speakers were inaudible. The catering was decent (if you consider that it is a ferry and not a gourmet cruise. There was a chaotic momenet when we entered Morocco with the formalities. The police officier wasn't organised. Going through customs is easy though if you're staying less than a month. I often use GNV between sete and tanger med and I would like to know if there's a discout card. 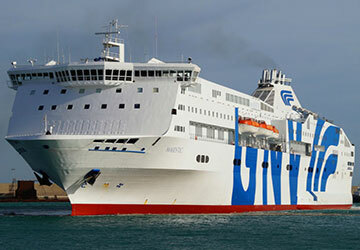 "Sète - Tanger et Tanger - Genoa"
Excellent services on board, pleasant and relaxed restaurants and bar. No negative comments in comparison to other companies travelling to North Africa. We booked the ferry Magestic from Sete to Nador. Depart 23.03.2014. Return 10.04.2014. Because of bad weather the arrival at Nador was cancelled and we went directly to Tangier. We received €50 in compensation or had the option of cancelling. The return journey from Nador was maintained although we travelled via Tangier (without disembarking) as scheduled. We travelled with our campervan (7m long)on board and paid about €1000 for the return journey including a 3 berth outside cabin. We were satisfied with the value for money and the quality of the services offered. 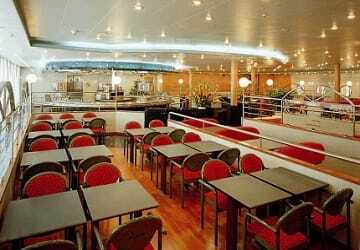 The ship was clean and quiet and there were both self and waiter restaurants as well as a bar and a snack bar. The Majestic isn't a cruise liner but it is quiet with spacious public zones and the personnel were polite and helpful.The cabins were adequate (shower/toilet/lavabo)and we only needed 2 berths so the third was folded away. Beware of the cool temperature maintained at all times in the boat. We needed adequate warm cloths even in the cabin. We were very impressed by the efficiency of the team which cleared the cabins after they had been cleared for disembarcation at the ports of call. Similarly there is obviously a very efficient, experienced and disciplined crew. Our only real complaint concerned the terminal at Sete where we had a 2hr queue in front of the inadequate confirmation desks in the ferry terminal. Fighting broke out between jostling non European passengers and the police were called. Similarly we had to queue for an hour on the boat to clear Morocain customs but this was orderly and well organised. We were misinformed by the internet site concerning the arrival at Sete for the return journey. We were informed that the ship would arrive at 18hrs thursday but in fact we arrived at 13h friday. Would recommend this ship (Magestic of Grand Navi Veloci (Italien)) and we would be happy to sail with them on a future occasion.